I had never heard of the Wild Duck Cluster until the Indiana Astronomical Society posted a novice/urban observing list for August 2013. 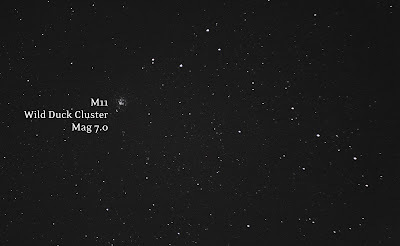 * I figured I could give it a try, it was listed as a Mag 5.8 and I've seen other clusters around that magnitude with my DSLR. It was pretty easy to find, following the tail of Aquila down to Scutum. 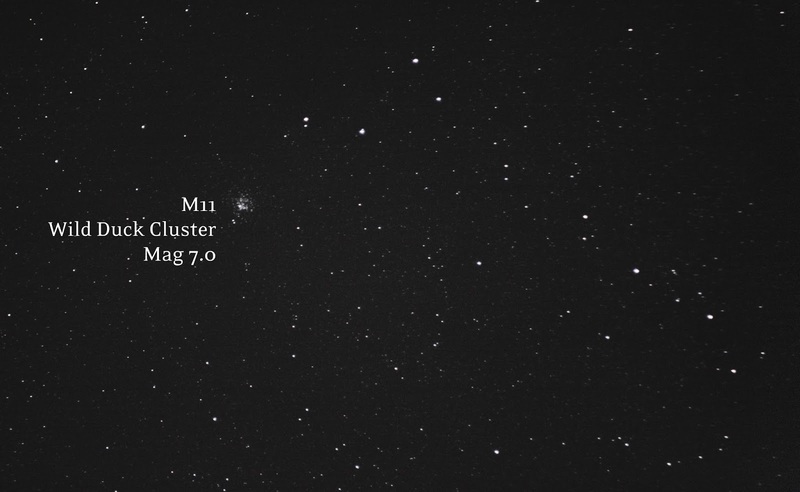 It's also larger than other recent Messier objects (like the tiny blob M53), so the final result is a little more impressive.